Today the House passed the Transparency in Regulatory Analysis of Impacts on the Nation (TRAIN) Act of 2011 (H.R. 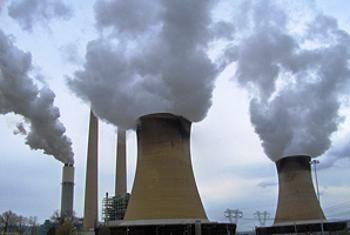 2401), which would dismantle core elements of the Clean Air Act. The measure would block health safeguards already issued by the U.S. Environmental Protection Agency and prevent imminent mercury standards from being adopted. The law would impose a mandatory minimum delay of between 15 and 19 months and eliminate any statutory deadlines for EPA to reissue those standards in the future. The Obama Administration has said the President is likely to veto the bill if it reaches his desk. “The fact is EPA has no idea how these regulations are impacting global competitiveness, energy and fuel prices, jobs or reliability of the electricity supply – eight of the EPA regulations addressed in this bill will cost a minimum of $1 billion each on the U.S. economy,” Sullivan said. “I firmly believe the American people deserve an honest accounting of how much the Obama Administration’s energy and environmental regulations are costing our economy and that is exactly what the TRAIN Act provides,” said Sullivan. Now the bill goes to the Democrat-led Senate. Earlier this week, Senator Barbara Boxer, a California Democrat who chairs the Senate Environment and Public Works Committee, held a press conference with public health experts and a family affected by asthma to stress the importance of defending the Clean Air Act from attacks, such as the TRAIN Act. If approved by the Senate, the measure would go to President Barack Obama for his signature and there faces a veto threat. Earlier this month, in the face of industry and Republican opposition, President Obama decided to withdraw consideration of new protections against smog pollution that were proposed by the Environmental Protection Agency. However, his veto of the TRAIN bill is likely, the OMB said. The EPA estimates that these two rules alone will yield hundreds of billions of dollars in net benefits each year. H.R. 2401 would block these rules and indefinitely delay these public health and economic benefits. “This is an outrageous assault on our right to breathe air that won’t kill us or make us sick. 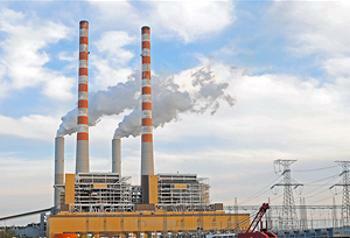 It’s time to stop this morbid pro-polluter, anti-public health agenda in Congress,” said Parry. Charles Connor, president and CEO of the American Lung Association, said, “The TRAIN Act is the single greatest roll-back of Clean Air Act protections in history. “Scientists discovered in recent decades that fine particulates of soot get lodged deep in the lung, making it one of the deadliest air pollutants. Even the Bush administration decided to act on these findings and started tightening smog and soot regulations,” said Beinecke. Congressman Cantor, a Virginia Republican, said today that his support for the TRAIN Act is all about jobs. “The regulatory agenda imposed by the Obama Administration places enormous costs on working families and businesses and is preventing job growth at a time when we should be encouraging it,” he said.